The process of crowning a tooth starts out the same way, whether it's a same-day crown or traditional crown: with “preparation” of the tooth. This involves removing any decay that's present, and shaping the tooth with a dental handpiece so that it will fit perfectly inside the crown. But the similarities end there. If you were getting a traditional crown, the next step would be to take an impression (mold) of your teeth with a putty-like material, and use it to construct a model on which to create the crown. 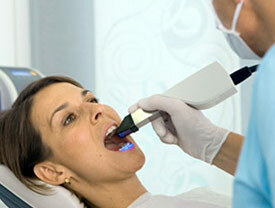 With a same-day crown, a small scanning wand attached to a laptop computer is used to take digital pictures inside your mouth. In seconds, the computer will generate a highly accurate 3D model of your teeth. But it gets even better. 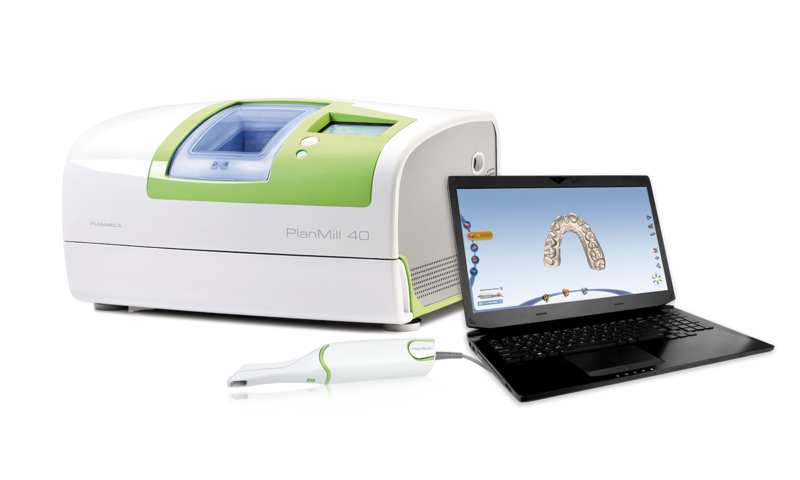 With the help of the CAD/CAM software, your crown will be designed on the computer while you wait. The software can even be used to create a mirror-image twin of the same tooth on the other side of your mouth, for the most natural-looking result possible. Then a block of dental ceramic material is chosen in the shade that most closely matches your own teeth. 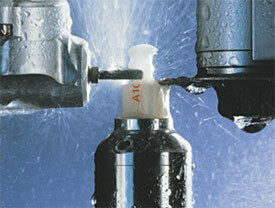 The computer's digital design is transmitted to a milling machine that carves the crown from the ceramic block in about 10-20 minutes. Once the crown's fit has been verified, and any necessary aesthetic enhancements have been made to the crown's surface (staining and glazing, for example), the crown is fired for added strengthen, then it will be bonded to your tooth. With a traditional crown, you would have to wear a temporary restoration for several weeks while the permanent crown was being fabricated at the lab. With a same-day crown, you walk out with the real thing less than 3 hours later.